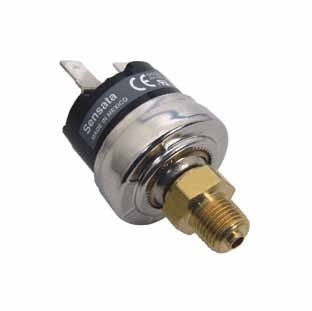 Sensata’s 25PS pressure switch family of products has been designed for direct control of electric motors and other demanding load applica- tions requiring precise pressure settings. Sensata’s Klixon® snap acting disc is the heart of this hermetically sealed product offering. Extended electrical capacities and life cycles, in both environmentally sealed and unsealed configurations, encourage usage in the most rigorous electrical protection applications. Application Air conditioning, refrigeration, compressors, pumps, etc.